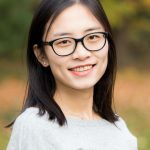 Yao Li completed her Bachelor degree in Statistics and Actuarial Science, and Master degree in Biostatistics at the University of Waterloo. She has research interests in treatment effect evaluation using causal inference methods. She was also trained in longitudinal data analysis and epidemiological studies while working at the Ontario Institute of Cancer Research. In her role with HRI, Yao is responsible for statistical analysis required for knowledge translation and exchange activities and for peer-reviewed publications. She works closely with research associates, research scientists, and their trainees to ensure accurate collection, organization, documentation, analysis and sharing of data.